You are free to choose any of the three departures for the return trip to your accommodation after your visit to the Aurora Sky Station. Return transfer times are from the chairlift valley station. 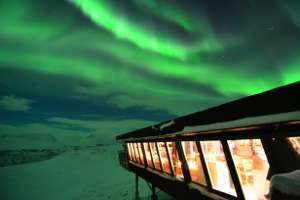 Make sure to commence your descent from the Aurora Sky Station (top station) at least 30 minutes before the return departure that you wish to join.